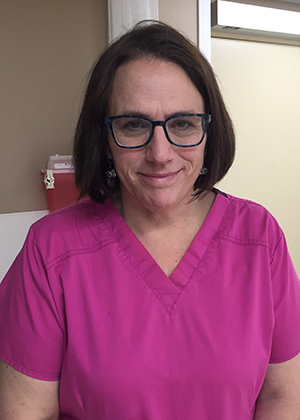 Myra is an exceptional nurse with 25 years of experience, who has worked in many health care areas, including OR, obstetrics, pediatrics, cardiovascular, renal care and palliative care. Myra’s leadership skills are demonstrated by her roles as the ONA bargaining unit president, and her involvement in many organizational committees at Manitoulin Health Centre. She also partnered with the community care providers and led initiatives in patient care and patient advocacy, family support and crisis intervention.